Pet Friendly Cabins in The Smoky Mountains of TN. Now, who doesn’t love the cute face of a furry little doggie? At Family Owned Cabins, we certainly do. They are just as much a part of our world as human beings. And let’s be honest… a lot of them are smarter too. So, why leave him or her at home when you decide to rent a cabin in the Gatlinburg, TN area? We have Pet Friendly Cabins in Gatlinburg so come and enjoy. The good news is you don’t have to leave your puppy at home. We offer pet-friendly cabins in a variety of sizes. Our cabin rentals deliver the same type of lovin’ that you do. If the thought of going on vacation without your precious pooch gives you a heart attack, relax. Family Owned Cabins has your covered! Now, before we get started, we do have some ground rules. First, due to cat allergies, we only accept dogs. Moving right along, if you are bringing your dog, the animal must be approved before renting the cabin. He/she needs to be housebroken (no “Cujo” chewing up everything in sight) and up-to-date on rabies shots and flea treatments. When you satisfy all the requirements, head on over so we can welcome you with genuine Tennessee hospitality. For over 10 years, Family Owned Cabins has earned great reviews for pet friendliness and pet friendly cabin rentals in Pigeon Forge TN, which is great news for vacationers seeking pet-friendly cabins rentals near Dollywood or the Smoky Mountains. Our aim is for you to have a memorable cabin rental in which you can easily relax…your furry family member too! 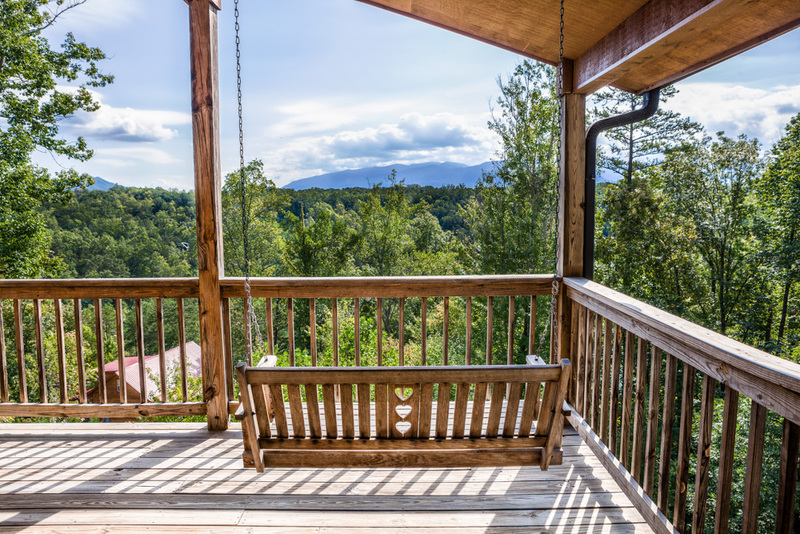 With no booking fee or service fee, enjoying an affordable vacation rental near the Smokies has never been this hassle-free. Our pet-friendly cabins, like all our other cabins, are very special places. Regardless of which cabin you rent, you will enjoy top-notch amenities, including Temur-Pedic mattresses, stylish country interior décor, and a staff at your call for anything you need. Enjoying a vacation at a Gatlinburg pet-friendly cabin includes spending time trying many of the outdoor activities offered. Hiking is big in this area, with many trails that you can explore with your dog. To explore with a guide, sign up for a tour. Another fact to remember: sorry, but dogs aren’t allowed in Dollywood unless the dog is a service animal. But there’s so many more places in Gatlinburg, Pigeon Forge, and the Smokey Mountains that you and your pet can go together, you won’t be sad at all. While having a relaxing getaway at a cabin in Gatlinburg Tennessee, be sure to spend some time in the Gatlinburg area, especially the Parkway. There are numerous places to visit and vacationers to this area will have a great time walking around and checking out the restaurants and shops. Gatlinburg has the city feel of such places as Nashville or Memphis but is less expensive for those wanting a retreat to somewhere nice and quiet. If you just want to unwind and relax in a secluded cabin with your doggie, you’ve come to the right place. This can save you a lot of money so you can spend it on other things like a Smoky Mountain National Park tour. Or, you will be able to spend another day on holiday at your Gatlinburg vacation rental. Wouldn’t that be nice?